On August 28, German Vice Chancellor and Economy Minister Sigmar Gabriel declared that talks over the proposed Transatlantic Trade and Investment Partnership (TTIP) between the EU and US “have failed.” Two days later, French President François Hollande cast doubt on the likelihood that an agreement would be reached this year. 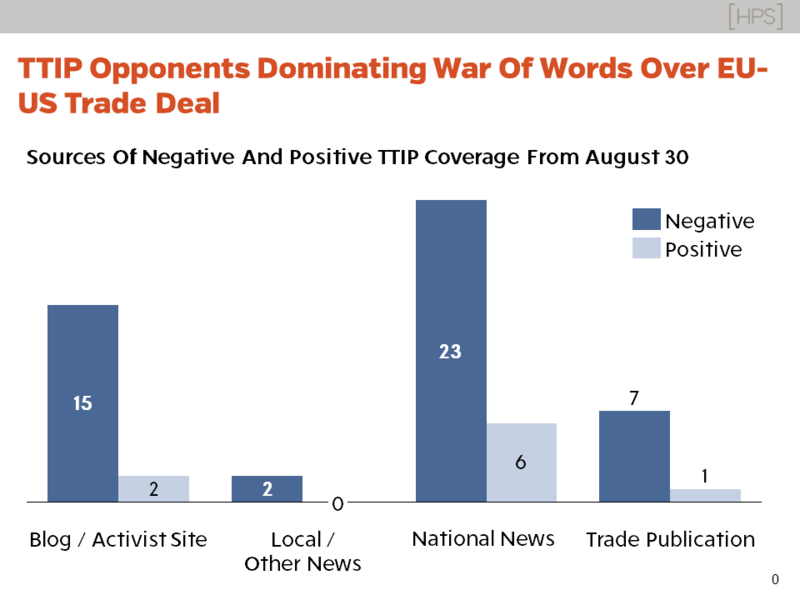 The significant media coverage around their comments underlines the extent to which negative sentiment dominates the TTIP conversation. In the absence of consistent, high-profile support for TTIP and its benefits, the views of its more vocal opponents continue to receive greater attention.